The medical condition referred to as neuropathy is often associated with diabetic patients. This may be a consequence of the inability to control normal insulin levels, and may become more severe in patients who experience high blood pressure. Possible nerve damage may be a result of a vitamin B deficiency, and this may be a contributing factor in developing neuropathy. Research has shown there are common symptoms that are associated with this ailment. These may include a numbness or tingling sensation that often begins in the feet and may gradually extend to the center of the body. An increase in clumsiness or falling may occur, which may possibly be a result of an extended loss of feeling. When neuropathy affects the feet, it may become debilitating, and may often influence the lack of completion of daily activities. Please consult with a podiatrist for a proper diagnosis and how this condition can be treated. Neuropathy can be a potentially serious condition, especially if it is left undiagnosed. If you have any concerns that you may be experiencing nerve loss in your feet, consult with Dr. Michael D. Garvin from Florida. Our doctor will assess your condition and provide you with quality foot and ankle treatment for neuropathy. If an injury from overuse of the tendons in the foot should occur, it may be a condition known as sesamoiditis. The bones in the feet that are connected to the muscles are referred to as sesamoids, and the surrounding area may become inflamed and tender if an injury should happen. This is a condition that is commonly seen in athletes and ballet dancers, and may also develop as a result of wearing poorly fitting shoes or high heels. It’s important to obtain a proper diagnoses, and this can be accomplished by visiting a podiatrist who will check for tenderness around the ball of the foot. Treatment may begin with ceasing any activity that caused sesamoiditis. Research has shown the importance of keeping pressure off the sole of the foot in addition to elevating the affected foot. If extra cushioning is needed, please consult with a podiatrist for information about custom-made orthotics. Sesamoiditis is an unpleasant foot condition characterized by pain in the balls of the feet. If think you’re struggling with sesamoiditis, contact Dr. Michael D. Garvin of Florida. Our doctor will treat your condition thoroughly and effectively. It’s common for many people to overlook their feet until they begin to experience pain and discomfort. Research has shown it’s beneficial for the body to engage in daily foot care. There are certain foot conditions that may develop as a result of not paying attention to any symptoms that may develop. These may lead to serious foot ailments including cracked skin, fungal infections or ingrown toenails. One of the first steps that may be implemented in maintaining healthy feet is to make sure the shoes that are worn fit properly. The optimum time to try shoes on is later in the day, when the feet are at their largest. Additional ways of keeping the feet strong is to learn and practice stretching exercises designed specifically for the ankles and feet. This may aid in the muscles, tendons and ligaments becoming stronger which may alleviate general foot discomfort. An ingrown toenail is an uncomfortable foot condition that occurs when the corners of the nail grow into the skin. Evidence of this ailment may include redness, swelling and tenderness. The toenail may often become infected if treatment doesn't commence as soon as symptoms appear. Severe pain often accompanies ingrown toenails and may affect the skin surrounding the infected toenail. People who do not trim their toenails properly and wear shoes that are too tight are likely to develop ingrown toenails. Research has shown that soaking the nail in warm salt water followed by thoroughly drying the feet may aid in the healing process of ingrown toenails. If you have medical conditions such as diabetes or a loss of feeling that is often associated with neuropathy, it’s suggested to consult with a podiatrist about how to treat ingrown toenails. Plantar fasciitis is a common foot condition that is often caused by a strain injury. If you are experiencing heel pain or symptoms of plantar fasciitis, contact Dr. Michael D. Garvin from Florida. Our doctor can provide the care you need to keep you pain-free and on your feet. The more you weigh, the harder your feet must work to support your body. If you’re an obese individual and are concerned about your feet, contact Dr. Michael D. Garvin from Florida. Our doctor can provide the care you need to keep you pain-free and on your feet. Does Hammertoe Have to be Treated? One uncomfortable deformity of the middle toes is hammertoe. The name is derived from the word “hammer,” as a result of the toe bending in the middle of the joint. It is typically caused by unbalanced muscles, tendons, and ligaments in the toe and will get increasingly worse if it is ignored and treatment is not sought. If certain shoes are worn, such as high heels that have a small area for the toes, the risk of developing this ailment is heightened. Other causes may include a predisposed inherited gene, certain forms of arthritis that may alter the bone structure of the foot, or injuries such as stubbing the toe. Some of the symptoms that may be experienced can be swelling and redness surrounding the affected area, open sores or corns that can form on the top of the toe, or having difficulty in keeping the toe straight. There are ways to prevent this condition from developing, such as choosing to wear shoes that have adequate toe room. If you are affected by hammertoe, see a podiatrist to learn about the best treatment options for you. Hammertoes can be a painful condition to live with. For more information, contact Dr. Michael D. Garvin of Florida. Our doctor will answer any of your foot- and ankle-related questions. If standing for the majority of the day is part of your work routine, you may experience achy sensations in the feet, in addition to possible swelling and tingling. Feeling soreness in the feet may result in affecting your mood and emotional state, typically as a result of the discomfort felt from the irritation of the tendons, muscles, and joints. Relief can come from implementing appropriate exercises that will strengthen the feet. Acquiring proper knowledge is necessary in learning how to properly maintain correct patterns that will diminish foot pain as a result of standing. It’s beneficial to keep the joints loose and unlocked, in addition to shifting the body weight from one foot to the other. Additionally, getting regular foot massages will not only feel good, but will aid the feet in feeling better so the daily physical pressures of standing on your feet can be endured. While working on the feet, it is important to take the proper care of them. For more information about working on your feet, contact Dr. Michael D. Garvin from Florida. Our doctor will treat your foot and ankle needs. If your daily routine consists of standing the majority of the day, you may develop a condition referred to as cracked heels. There are several additional reasons why this ailment may occur, including wearing shoes that do not support the back of the foot, being overweight and requiring the feet to endure additional pressure, and skin conditions such as psoriasis and eczema. The cracks in the skin, also referred to as fissures, may become painful, which could make walking and standing difficult to manage. If your skin is dry, it’s beneficial to utilize a moisturizer to aid the skin in retaining moisture. Additionally, cracked heels may be a symptom of athlete’s foot, which can lead to an infection possibly occurring through the breaks in the skin. Please consult a podiatrist for additional information about cracked heels and possible treatment options. 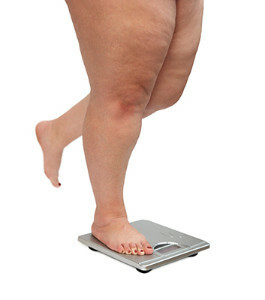 Are The Feet Affected By Obesity?